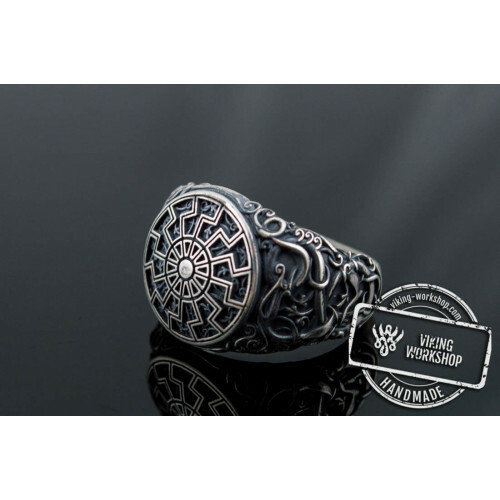 The Black Sun symbol has a very long history. 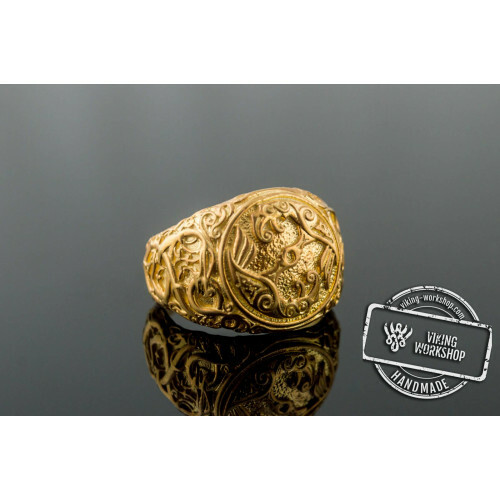 Some experts argue that it originates over 5 thousand years ago, while others believe that the first foretype of this symbol appeared only in the Middle Ages. 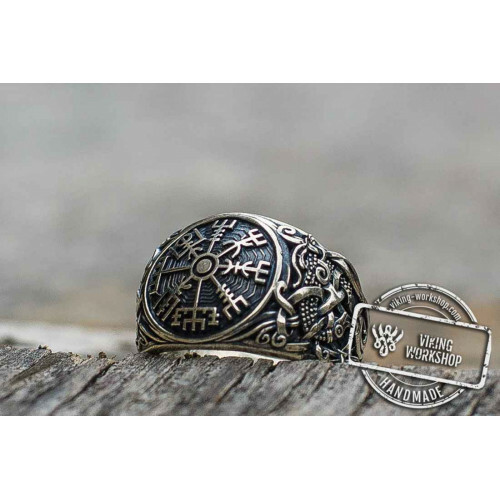 It is safe to say only that the energy of this symbol is exceptionally high, and our ancestors were taking a huge responsibility when putting it on. 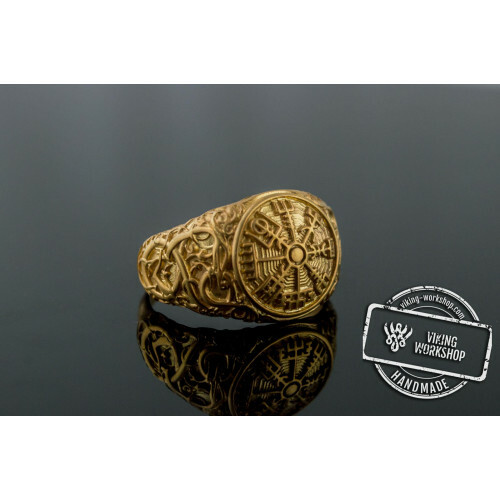 Over a long time only the chosen ones could wear this symbol, but eventually the margins somewhat faded, so today you can find the Black Sun or Schwarze Sonne Symbol Bronze Pendant ? 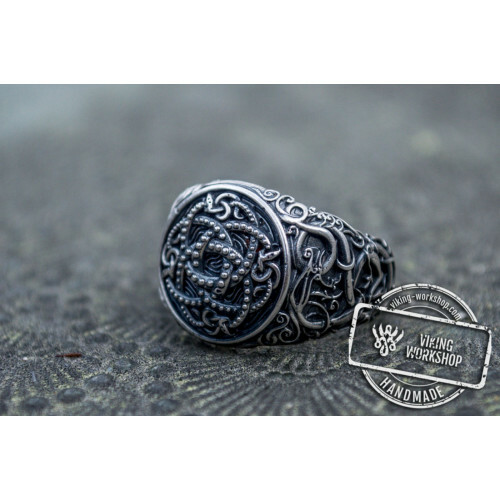 Black Sun Symbol with Oak Leaves Sterling Silver Viking Ring for sale without any problems. 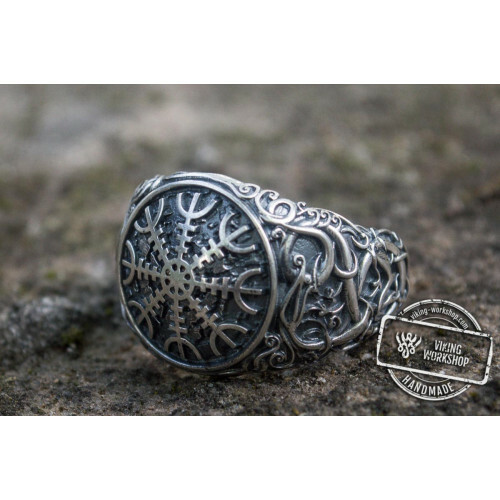 Of course, the network is overfilled with shops having rings similar to Black Sun Symbol with Oak Leaves Sterling Silver Viking Ring. 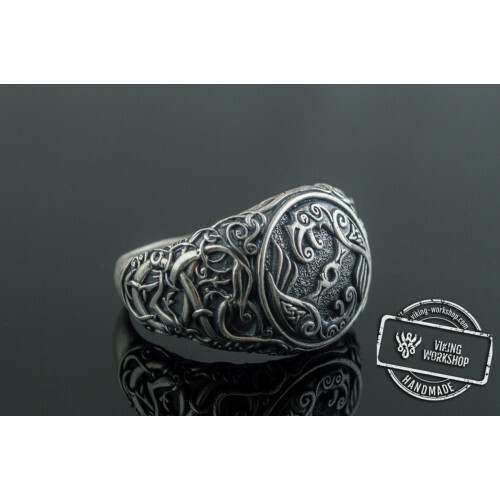 However, virtually any product which you will find online is made on the factory. 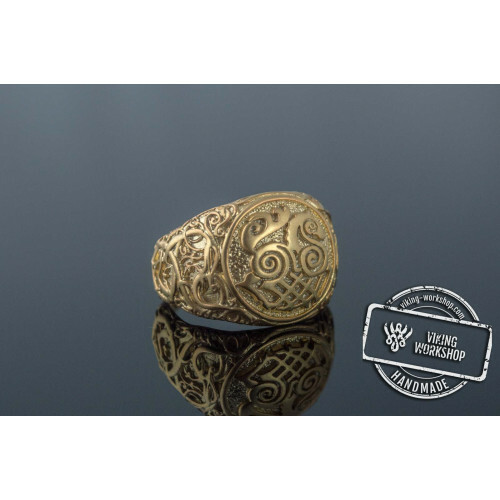 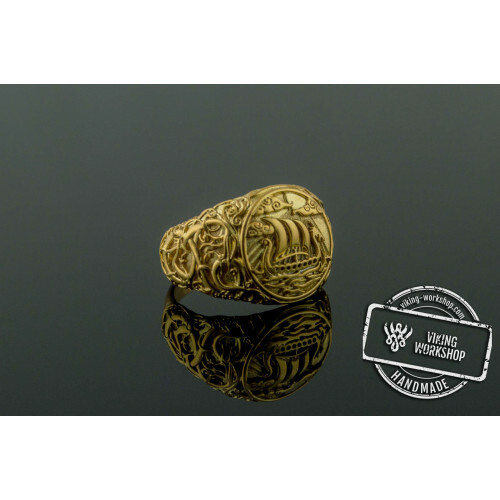 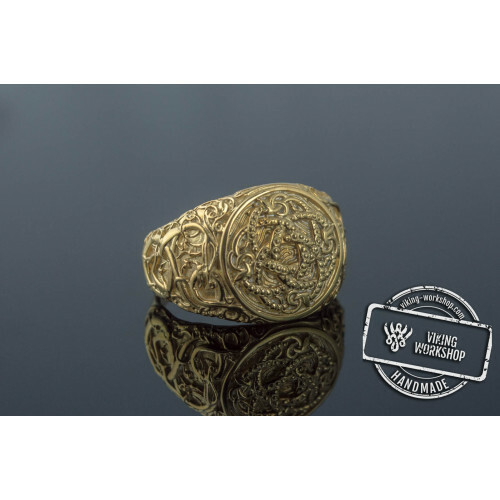 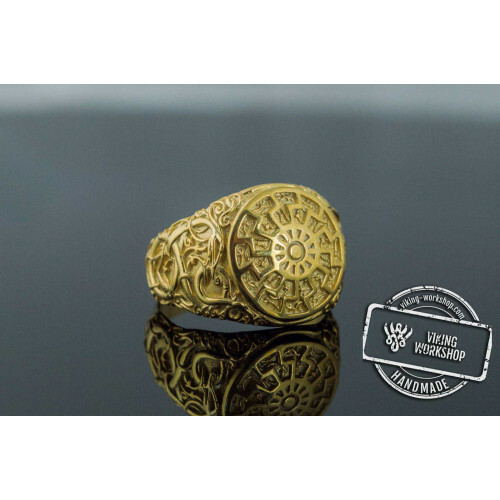 However, in viking-workshop online shop, you can buy premium handcrafted products. 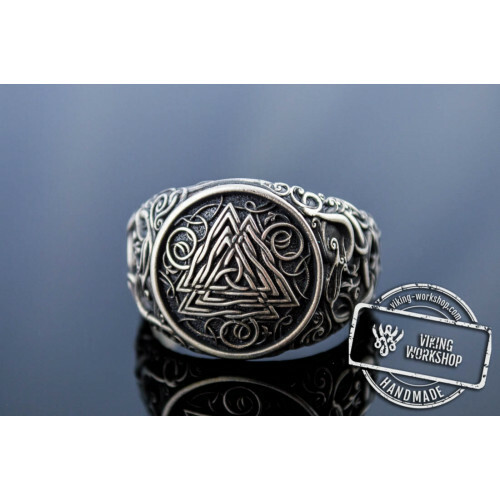 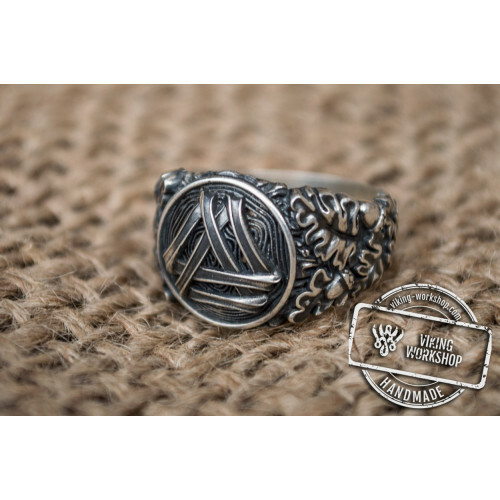 You can order Black Sun Symbol with Oak Leaves Sterling Silver Viking Ring or handicraft with other symbols like Aegishjalmur or Helm of Awe Symbol with Oak Leaves Sterling Silver Viking Ring. 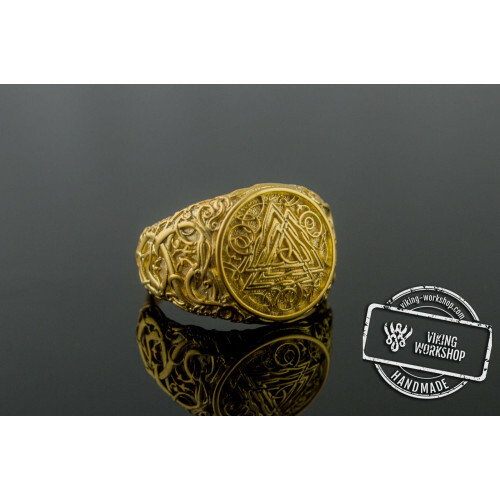 In any case, the chosen product will be made exclusively by the hands of the best masters, which guarantees its high quality and accurate matching.